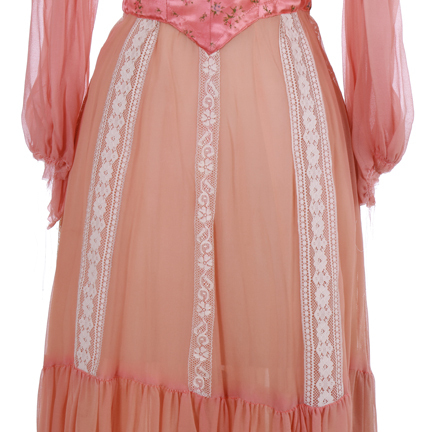 These garments were worn by “Barbara Cooper” portrayed by Valerie Bertinelli in the television series “One Day At A Time”. 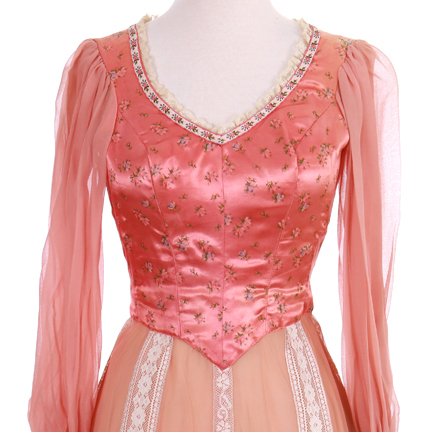 The rose pink dress is constructed of a white lace and rose trimmed collar, a satin rose bodice, pink sheer sleeves, and skirt with white lace detailing. 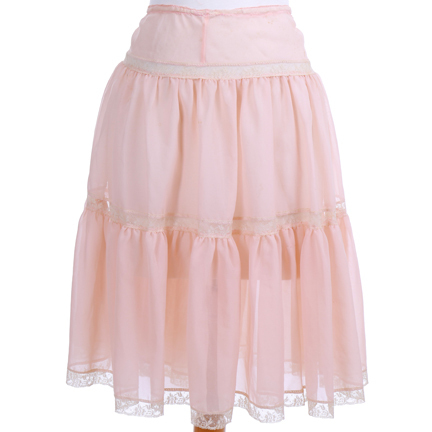 Accompanied by the “in-progress” rose print satin top and a pale pink underskirt with white lace detailing. Ms. Bertinelli wore the garments in Season 3 Episode 19 "The Dress Designer". 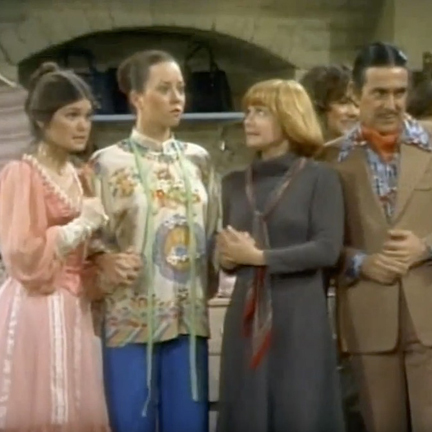 The dress was the signature piece of the episode – designed by “Julie” (Mackenzie Phillips) and worn by “Barbara” (Valerie Cooper). 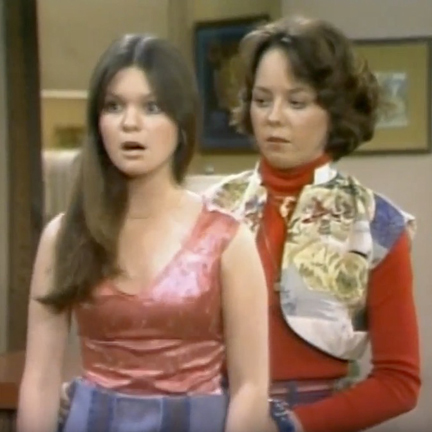 During the episode, “Julie” enters a fashion contest at "Eve's Leaves", a local boutique, in hopes of getting her design sold in the store. She enlists her sister as the model and, together, they work to get the dress completed in time for the show. 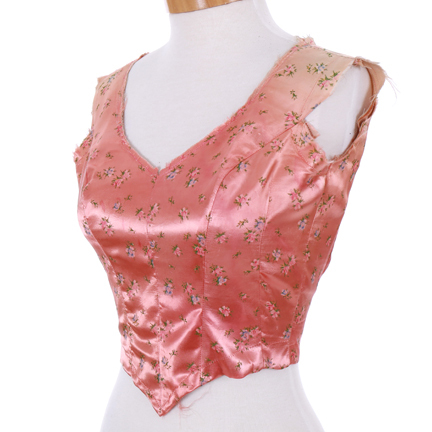 Mid-episode “Julie” uses the unfinished rose top on “Barbara” in a fitting. At the end of the episode, we see “Barbara” wearing the completed dress in the fashion show. 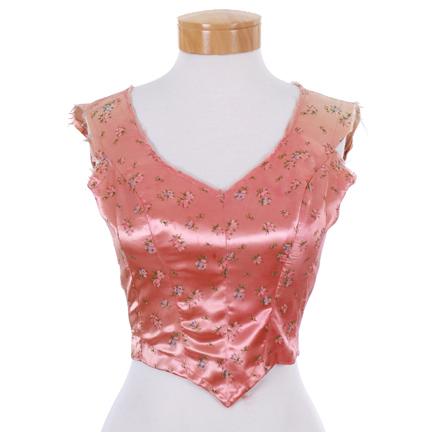 Thes garments are in good screen worn condition and was acquired directly from the costume designer and head of the wardrobe department for Embassy TV (formerly TAT/Tandem) Betsey Potter. 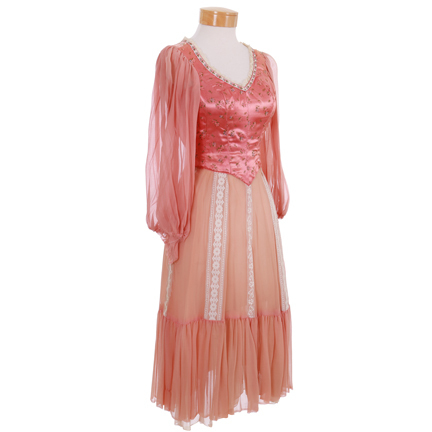 The department also supplied wardrobe to Sanford and Son, One Day At A Time, Maude, All in the Family, Good Times, The Jeffersons, and other iconic television shows produced by Norman Lear and Embassy TV.